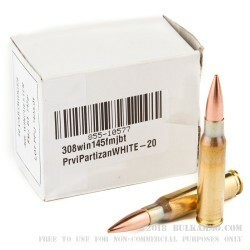 There will be no hesitation in using this ammunition for just about any task once you have put a box through your favorite .308 rifle. This load represents a fantastic value for the caliber platform and is infinitely usable for any number of tasks especially when you factor in the incredibly low price point for the high-quality build. The reliability of the round and the brand history help to make this a no-brainer for those who want premium, accurate ammunition for a song. The boat tail projectile with a full metal jacket build gives good consistency with the factory production protocols and best practices that ensure such a consistent load comes out of the factory time and again. The 1.5 MOA or better accuracy is more than adequate from most guns and the pricing is incredibly low, given the capabilities of the round. The Brass casing and Boxer primer offer ease of reloading and the premium brass will serve you well for multiple reloads. 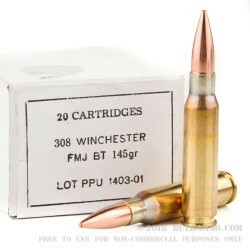 This is a 145 grain load that offers excellent reliability and feeding in every gun you put it into. The level of quality coming out of the Serbian Prvi Partizan plants is exceptional. Q: Out of curiosity - what's the discoloration around the casing neck all about? A: This discoloration we see on the brass is from heat applied to the brass prior to the loading process at the factory. 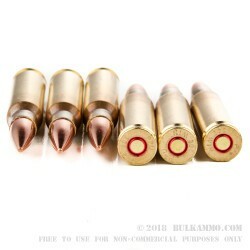 This heat helps condition the brass for loading and reliability while cycling through the firearm. Some ammunition manufacturers will polish their brass one more time to cover up the discoloration. Some shooters prefer to see this exposed to confirm the process was completed correctly. 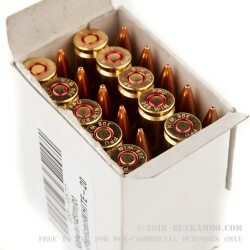 A: We are always looking for the best deals on ammo so that we can pass them on to our customers. We don't have any battle packs right now, but check back in the future to see what we have!